As I mentioned at the end of the Lovely Rentals Engagement Post, Shawn & Jill had a summer downpour during their engagement session. We rescheduled for a couple days later and even though there was rain on the horizon, part of the sky was gorgeous so we focused on that. 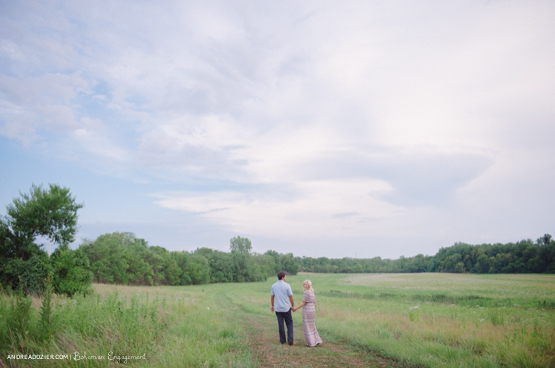 The summer’s watercolor sky was a dream to have as a backdrop. The rain held off and we had a gorgeous colorful sunset. Very nice images…love the background!